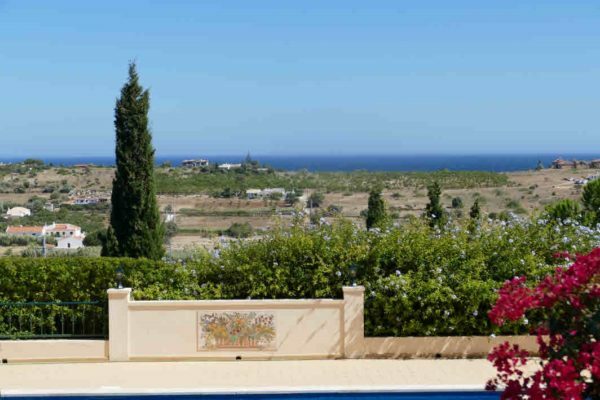 Set in a high position, on a large plot with and expansive garden this property offers splendid views to the sea and the mountain. 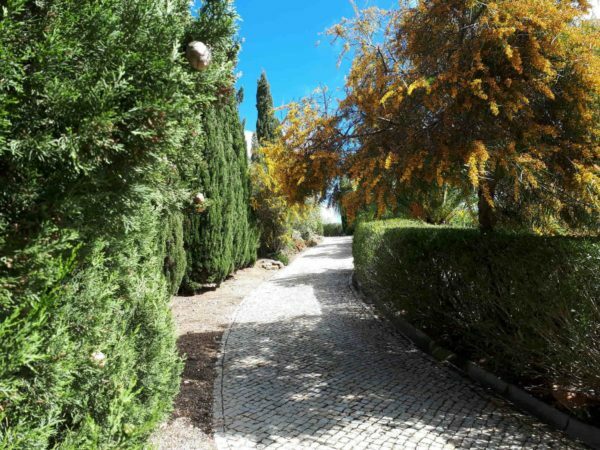 The entrance to the property is magnificent with a long calçada driveway, surrounded by shrubs, bushes and trees, leads up to a generous parking area and the villa. This stylish residence offers complete comfort, modern convenience with quality finishing’s and spacious accommodation. Ground floor offer an entrance hall, with a large fully equipped kitchen opens to a spacious dining room, who leads to the lounge with large windows. There are also 2 further bedrooms with an en-suite bathrooms, a laundry room, an office and a large 1-bedroom apartment with private bathrooms and kitchenette. The first floor hosts a spacious master bedroom with private en-suite bathroom and a dressing area, the bedroom itself leads to a private generous terrace with an amazing view out to the Ocean, over the swimming pool and the extended garden. Further features include a double garage, solar panels for hot water, solar covered pool, irrigation in the garden with a borehole, electric entrance gates and a large storage area. Other extras are, air conditioning and central heating, alarm & CCTV system. Mature gardens offer a lovely lawn, surrounded by beautifully manicured foliage, many flowers and trees which provide additional privacy and tranquility. This exclusive property will suit any purchaser that expects a home with quality, style and substance.